Where’s all my Michigander’s at? I can tell you’re from Michigan because when you held your hand up, you pointed at the spot on your dirty palm denoting where you grew up; for those of you not from Michigan, if you hold your palm up the shape technically looks like the lower half of the fine, and currently quite cold, state of Michigan. And no, that does not include the upper peninsula, which you’d have to use your other hand for. Wow, okay, so now that the local Michigan talk is out of the way, let’s move on to the best burger in America. 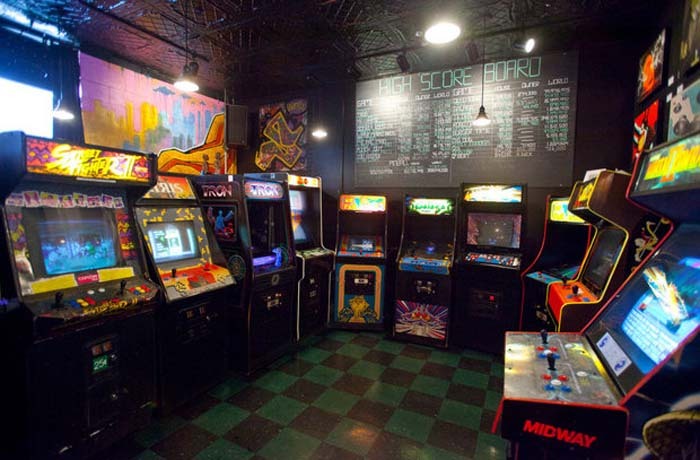 That’s right, not only can you get what GQ Magazine hails as the “best burger in America“, but you can also drop some quarters into some of the oldest, coolest arcade games this side of Lake Michigan. The venue is called Stella’s: the food is amazing, the prices are cheap, and the crazy amount of video game arcade games in house will make you think you stepped onto The Grid, except with amazing burgers. Are you catching my drift on the burgers yet? If you’re in the Midwest, passing through, or born and raised in the western Michigan/Grand Rapids area, and you’re looking for a great place for a fun date, then head to Commerce Street in GR and hit up Stella’s! Oh, and this place is also doing its part in the fight against gamer stereotypes; just try and squeeze in the door on a Thursday, Friday, or Saturday night and you’ll catch my drift. Gaming has always been cool; Stella’s has been saying that for years, and now they’ve introduced stellar burgers to go along with it. And by stellar I mean “best burger in America” stellar. Check out Stella’s official website right here, and sign up for free at LFG Dating today!